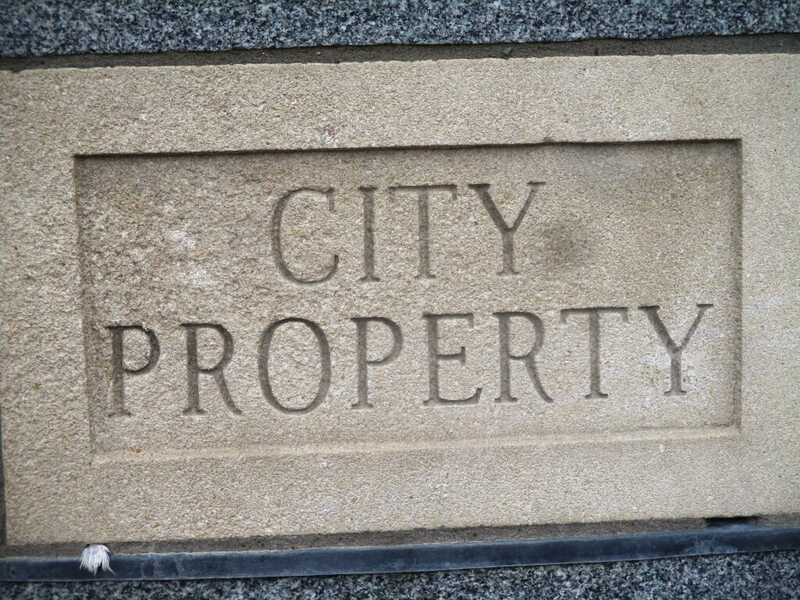 Someone chiseled off the CITYPROPERTY sign at the park boundary next to School 12. I walk by nearly every day, this is fresh. There are chips and stone dust on the ground. Too much effort for random vandalism. 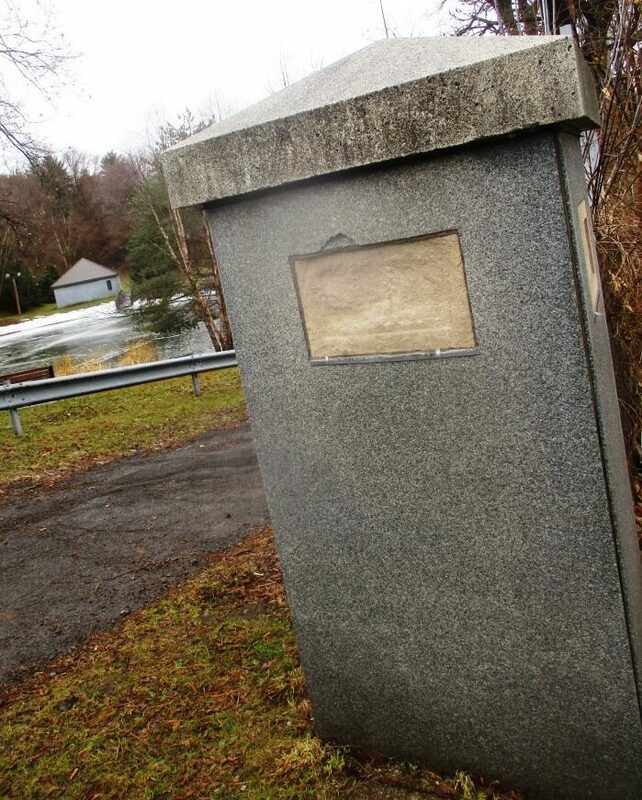 There are antique dealers around who steal city artifacts and cemetery monuments and so forth. Remember the stolen Goethe bust from Highland Bowl? Probably in some fancy living room. Be on the lookout. . . Same pillar, north side (facing School 12) still intact. 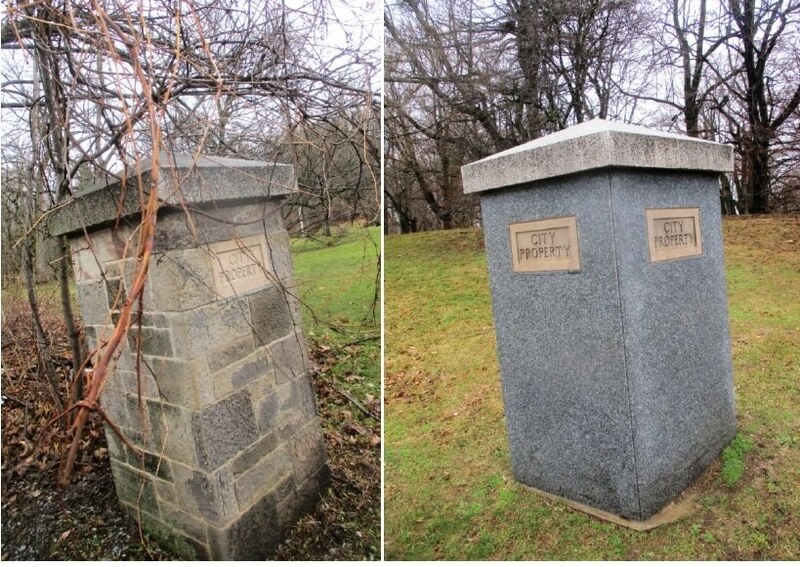 Same pillar, north side (facing School 12) still intact. 2/25/18. Brandon Young, Islander fan, hockey player and Zamboni driver. 1/29/18. 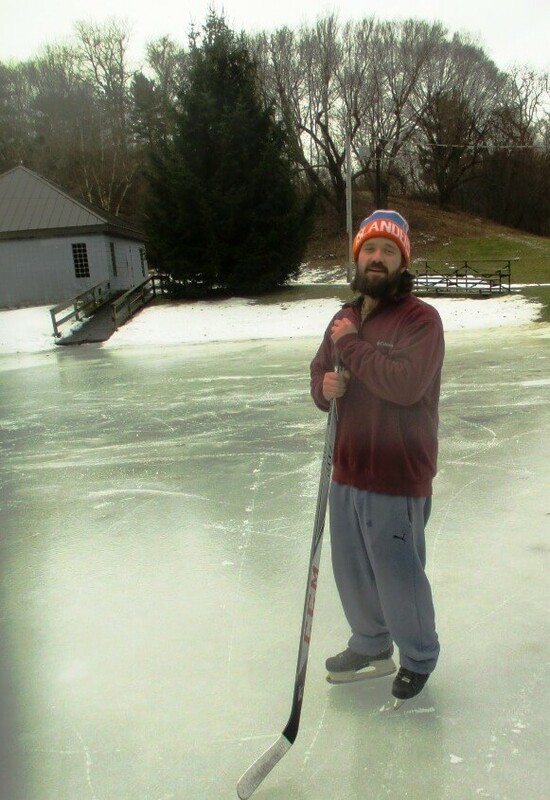 From Lily Pond, Highland Park’s hidden ice hockey rink. We still don’t know when and what exactly happened. But whether vandalism or theft or both, our park is again victim of selfish and uncivil behavior. I was especially saddened because we had just done a story on the Lily Pond down the hill from the pillar, Lily Pond, Highland Park’s hidden ice hockey rink. A couple of year’s ago we took my niece visiting from California to the site. 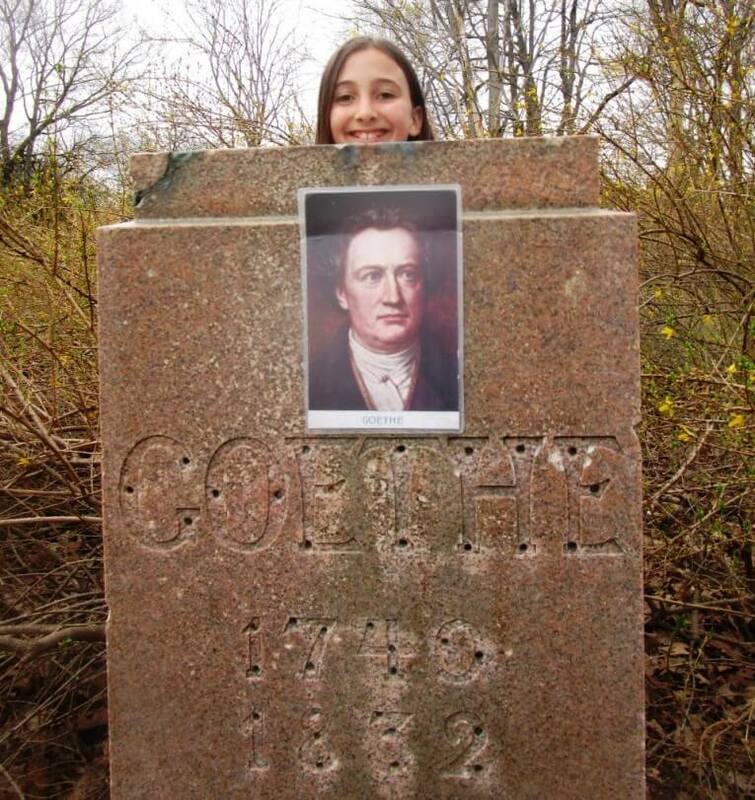 One good soul had taped a picture of Goethe to the statue, a thoughtful gesture but not quite redemptive. As solace, I took the chance to admire the other CITY PROPERTY signs in that part of Highland Park. Regardless of when it occurred, the vandalism is troubling. 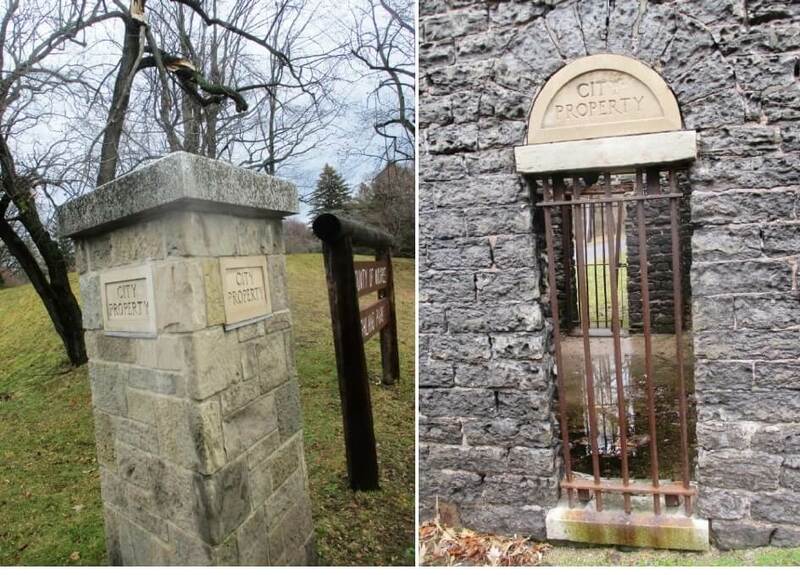 We all work very hard to make Highland Park the true gem of the Monroe County Park System.